Dominion Harbor has created a wholly owned subsidiary, Liberty Peak Ventures that will exclusively represent this important portfolio. DALLAS, TX March 5, 2018 – Dominion Harbor Enterprises (DHE) today announced the purchase of a significant American Express patent portfolio consisting of approximately 275 US and foreign patent families and nearly 1,000 patent assets. This transaction constitutes DHE’s second major acquisition of 2018. As expected for an American Express-developed portfolio this large, the innovations covered range across a broad spectrum of financial, security and authentication solutions, including: NFC/Contactless Payments, Point-of-Sale Terminals, Authentication and Identity Management, Back End Infrastructure, Enterprise Resource Planning, Card Transactions, Fraud Detection, among many others. “Personal financial transaction protection is of critical importance for every consumer in the world that uses a digital payment means. Beyond delivering direct value to consumers, we believe it’s important to infuse the institutions they have come to trust with vital innovations from one of the world’s most trusted brands,” said David Pridham, chairman and CEO of Dominion Harbor Enterprises, “this portfolio spans the secure commerce spectrum where information can be most vulnerable to both consumers and large financial institutions. After a brief ramp-up, DHE’s Liberty Peak Ventures subsidiary will begin marketing the portfolio to the world’s largest financial, retail and eCommerce institutions, as well as smaller enterprises, through a series of channels unique to the IP monetization sector. 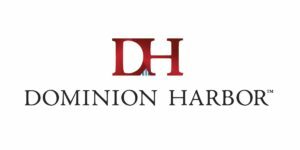 “David and the Dominion Harbor team have a proven monetization model and entrusting this portfolio to DHE guarantees that the broadest number of market participants will benefit from its technology,” commented Cory Van Arsdale, Chief Revenue Officer at Intellectual Ventures. Dominion Harbor Enterprises (DHE) is the worlds premiere intellectual property transaction and advisory firms. It provides its clients with unmatched transactional expertise, a full spectrum of IP transaction and advisory services, and unrivaled access to highly targeted and credentialed licensees. DHE maintains its industry leadership with its proprietary IPedia patent intelligence solution, IPWire.com – The Patent Expert’s Resource and IP…Frequently – a humorous, yet serious podcast for today’s IP practitioner. Founded in 2000, Intellectual Ventures (IV) is the global leader in the business of invention. IV collaborates with leading inventors, partners with pioneering companies and invests both expertise and capital in the process of invention. IV’s mission is to energize and streamline an invention economy that will drive innovation around the world.